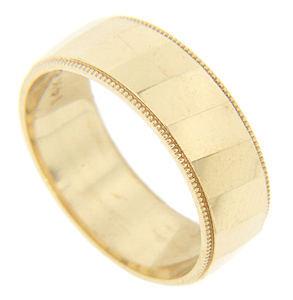 Polished diagonal strips are used to great effect on this 14K yellow gold modern wedding band. Millgrain edges serve as the ring’s borders. The band measures 6mm in width. Size: 5 3/4. Cannot be resized.